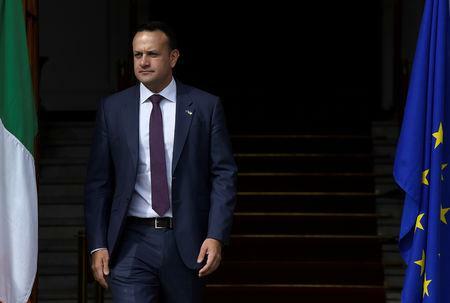 DUBLIN (Reuters) - European Union leaders should cut Prime Minister Theresa May some slack over her request to delay Brexit, Irish Prime Minister Leo Varadkar said on Wednesday. "I think it's time now to cut them some slack – to cut the British Government some slack when it comes to their request for an extension and when it comes to their request that the Strasbourg agreement (to extend Brexit) be ratified formally by the European Council over the next two days," Varadkar told reporters. "So we're willing to support both of those requests, but obviously we're not entertaining any change to (Britain's EU) withdrawal agreement or the backstop," he said, adding that Dublin had no definitive view on how long an extension should be.